Pernettyas are compact hardy evergreen shrubs with attractive small leaves. Their common name prickly heath suggests they may be thorny, but they are not. 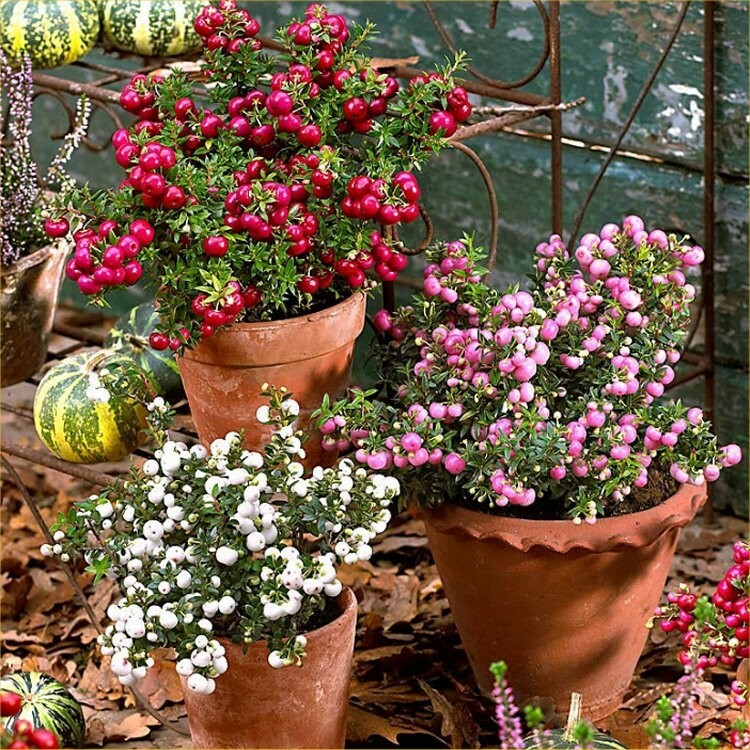 The most notable feature is their berries displayed in shades of white, red, pink, lilac and purple. 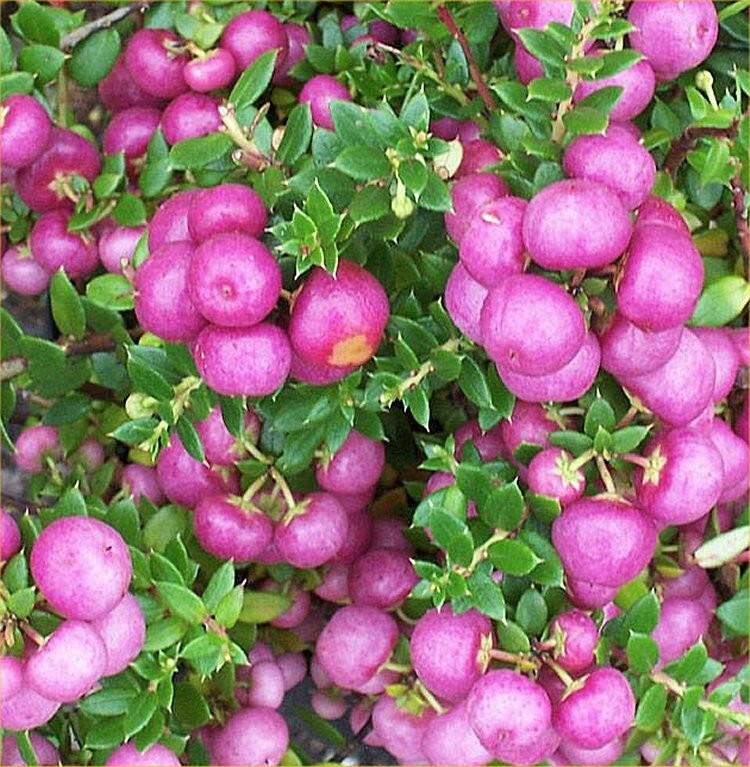 These literally smother the entire plant, like sparkly jewels nestled throughout the foliage and make Pernettya plants ideal for mixing with other evergreens in seasonal planters. 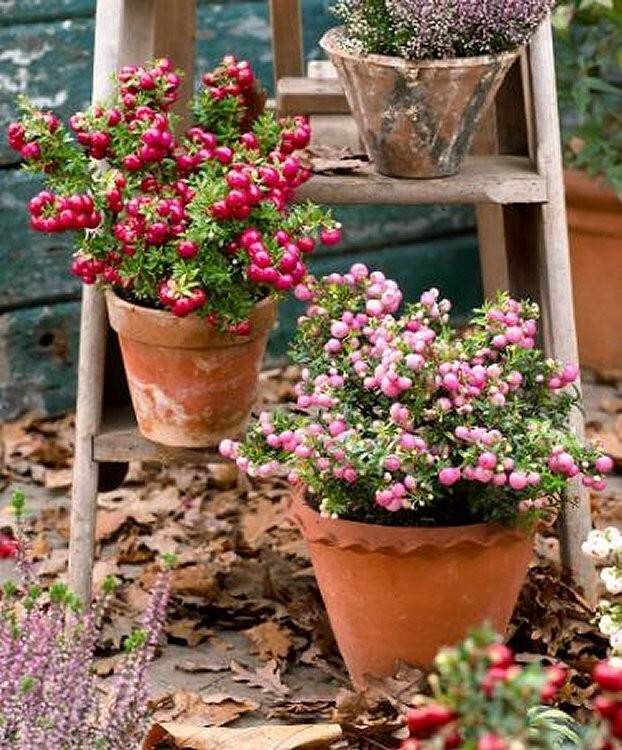 This hardy, evergreen shrub which bears small, pinkish-white, bell-shaped flowers between May and June. These are produced above glossy, light to mid- green leaves which take on an attractive bronze tint in the winter. The flowers are followed by beautiful fruits which help to provide colour and interest well into autumn, winter and even the following spring. Pernettya grows well in any good soil with plenty of organic matter and compost mixed in. 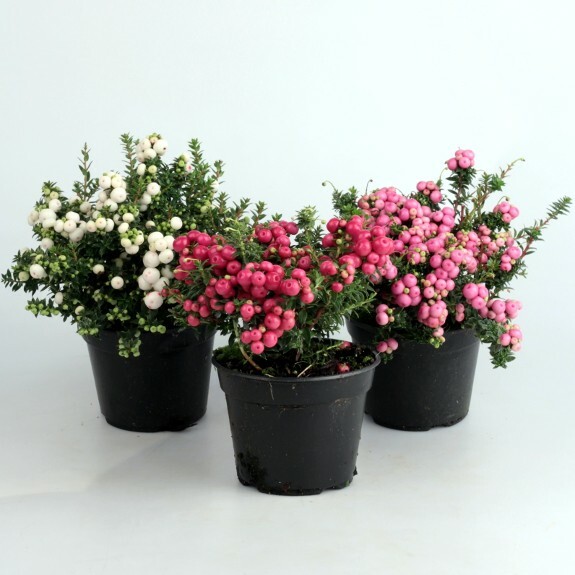 Pack of three plants in assorted colours, supplied in approx 1 litre pots, full of berry in season.